The location was nice. Not too noisy and a mile or so from the Charles Bridge. 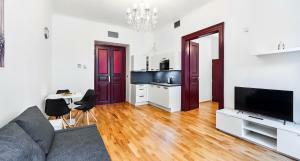 Very spacious, clean, situated at a walking distance to the center and about 10-15min to the metro train. Clean interior design. Beautifully appointed and wonderful building. Highly recommend. Great location. Great size for 3 people. Great value for money. The apartment was very spacious for our group of 3 and also super secure with key fobs and double lock entry. The location is nice, with lots of cafes nearby. The host was very patient waiting for us in traffic. Good quality wifi. Nice and modern apartment, clean design, spacious bedroom with a comfy bed, very nice bathroom, and great host Danil who was flexible with the checkin time as I was a little late. The location is superb, just next to the river Vltava for a beautiful walk and around 30min walk to the very city centre. Very good location and price for what we got. It is on the ground floor, so should be careful with leaving windows open, but nice neighbourhood, close to main attractions and ideal for a couple or parents with kids. The flat is in a great location and very well connected. 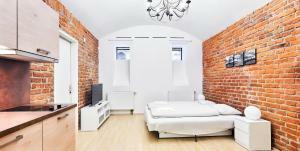 Lock in a great price for Apartments Zborovska – rated 8 by recent guests! 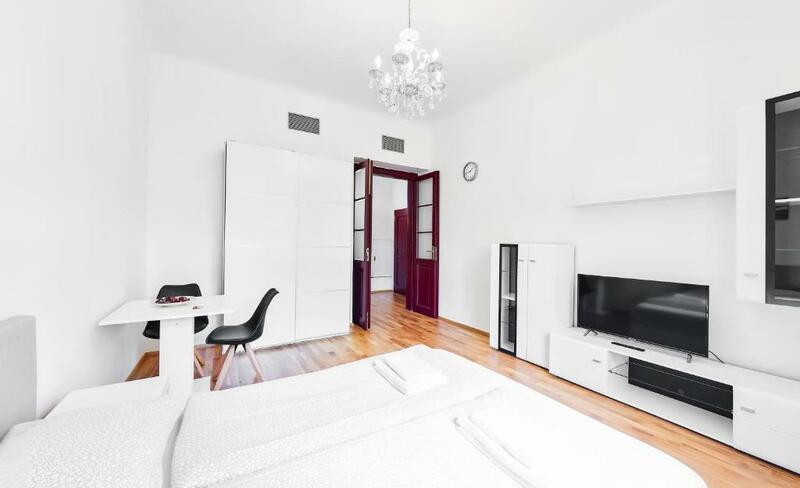 Apartments Zborovska This rating is a reflection of how the property compares to the industry standard when it comes to price, facilities and services available. It's based on a self-evaluation by the property. Use this rating to help choose your stay! One of our best sellers in Prague! 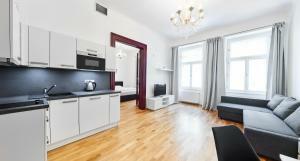 Located 1.1 miles from Prague Castle, Apartments Zborovska has accommodations and free WiFi in Prague. Accommodations consist of a living room, a well-equipped kitchen with a dining area, and a private bathroom with shower. An oven and microwave are also offered, as well as an electric tea pot. St. Vitus Cathedral is 1.2 miles from the apartment, while Prague Astronomical Clock is 1.5 miles from the property. 뀐 Located in the top-rated area in Prague, this property has an excellent location score of 8.6! 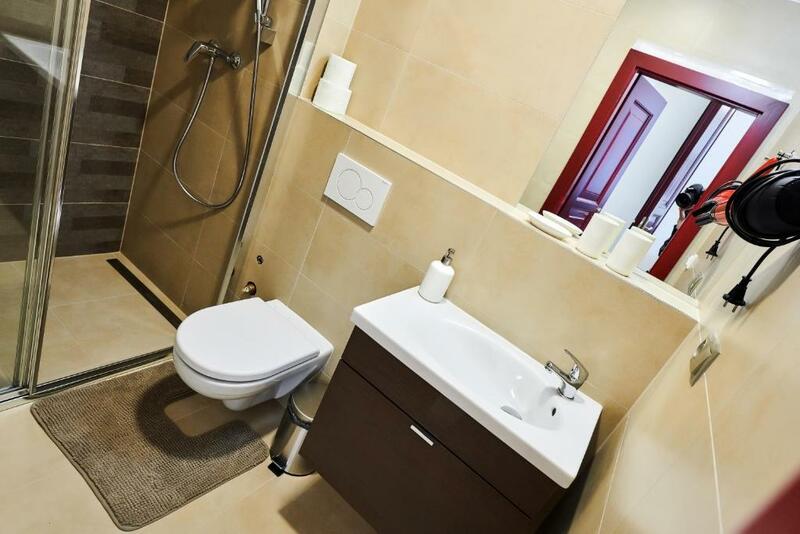 When would you like to stay at Apartments Zborovska? This apartment has a microwave, oven and kitchenware. House Rules Apartments Zborovska takes special requests – add in the next step! Apartments Zborovska accepts these cards and reserves the right to temporarily hold an amount prior to arrival. Late check-in from 20:00 to 3:00 is charged for an additional surcharge of EUR 15. Early check-in between from 12:00 to 15:00 is possible for an additional surcharge of EUR 10. The apartment is situated in a basement, don't expect to view anything outside, but you may choose one at the upper levels (different price) . Don't check in later that 8 o'clock or you'll have to pay EUR 15. No TV set. The noise. You can hear everything that goes on outside the room. The undeground aparment is horible! It is right next to tha street. There is no fonic isolation and you can here everithing from the street, all the time...the cars, people talking next to the block, dogs, everithing! The windows are the worst windows I've ever seen! The noise from outside is in your aparment. The shower has a problem that is when you least expect hot water is starting to pull on you when you are taking a shower. Beside the main room (where are 2 radiators) in the bathroom and the back area is cold as hell. The matress is not a matress but a spunge, 15 cm deep and after a night of sleep your back feels like you've slept on the floor. The kitchen sink is always chocked. The landloner is only 3 minutes with you wile he takes the payment and after that he is off. Even if check in time was from 15:00 to 19:00 and we arrived at 15:30, he was not there and we had to wait on the street 40 min for him. There was often a strange smell of noodles/onions in the apartment particularly in the evening. Smelled like a takeaway or something was nearby. But we didn't spend too much time inside so didn't really bother us. 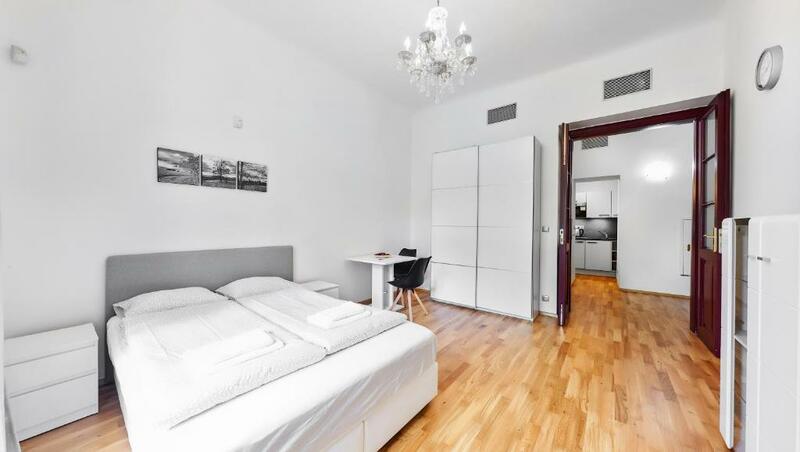 Beautiful clean apartment in great location. When we arrived we were greeted in quite a cold and unpleasant manner. Then, we were asked to pay in cash in the local currency unlike what it states in the website where it clearly says that cards are accepted. Finally we were directed to a nearby ATM and paid him in the street. The kitchen is not very well equipped. All stripped to basics. We found that there was only one fork. We notified this to one member of the staff but we didn't receive a second one throughout our staying. On the day of check out there was no facilities to leave our luggage before our flight which made our last day extremely uncomfortable.